Details of the 2018 iPad Pro models began to leak out months ago. All through Q3, it became increasingly likely that Apple was about to introduce new versions. Specifically, there were 9.7 million iOS tablets shipped last quarter, a 6.1 percent year over year decline. But the company launched the expected tablets this week, and there’s evidence that they are selling well. Even the most expensive versions. iPad seems well positioned to have a strong Q4, especially as it includes the holiday shopping season. 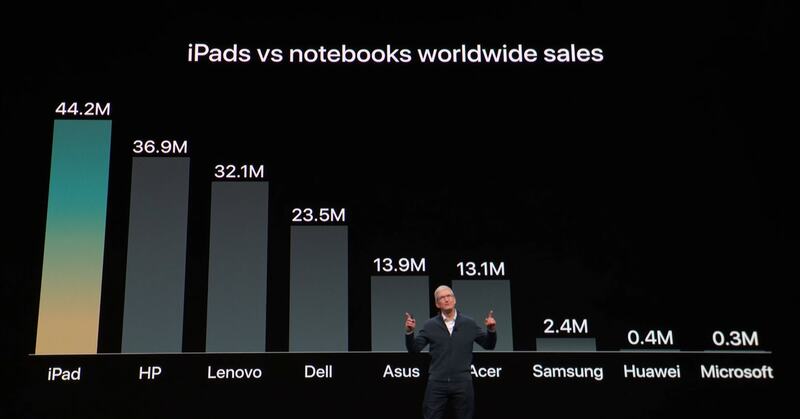 iPad sales figures wax and wane over the years, but Apple has long sold far more tablets than any of its competitors. Last quarter was no exception. Even with shipments down slightly, iPad was 25.9 percent of the entire global market in Q3. It’s closest competitor is Samsung who sold 5.5 million, an 11.4 percent decline, according to IDC. Interest in this company’s slates is waning, but its detachables are on the rise. Amazon was in third place with 4.4 million tablets shipped, a modest drop. This is another company that can look forward to a strong Q4, as its Fire tablets traditionally do well as gifts. Although not popular in America, Huawei alone of the top 5 tablet makers experienced year-over-year tablet shipment growth in Q3. “Huawei continued its impressive growth trajectory in the quarter with strong year-on-year increases in Europe and Latin America,” said IDC. The company shipped 3.2 million tablets, up 7.1 percent. Lenovo shipped 2.3 million tablets globally in Q3, a 24.5% decline.